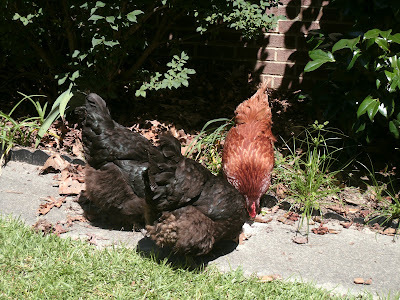 Our sweet Fancy has been a lonely hen for so long that we forgot a few things about her. Namely, that she's a follower. The Queen of Our Backyard happily turned the title over to a new girl this weekend. Introducing the new alpha female Lucy and her sister Ethel. 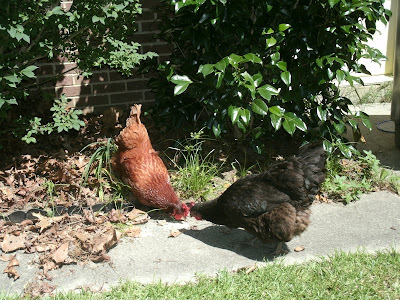 Lucy and Ethel are Jersey Giant chickens and are on schedule to get much bigger in the next year or so. They're already larger than Fancy, who we speculate is probably 4 years old. We started them in the coop to avoid cycle-of-life issues and kept Fancy free ranging since she was pitiful the last time she went in the coop. But then Fancy forced her way into the coop. Another hour later and all three hens had busted out and were roaming the yard. No, it's not fall. We just never raked. The girls were happy in there! 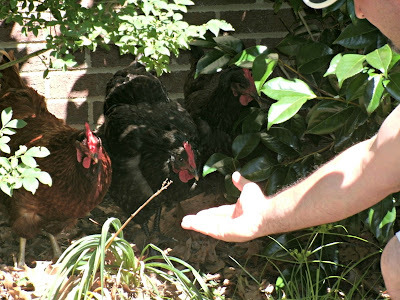 Now that all three hang out in the yard during the day, they also lay their eggs in the nests of their choice (versus the nesting boxes in the coop). Fancy lays hers next to our chimney, Lucy lays them in an empty nesting box outside the coop, and Ethel lays them wherever she happens to be when the feeling over takes her. Though she's a runt in comparison, Fancy has Lucy and Ethel beat in one area. Look at their itty bitty eggs! Everyone's enamored with our new girls. 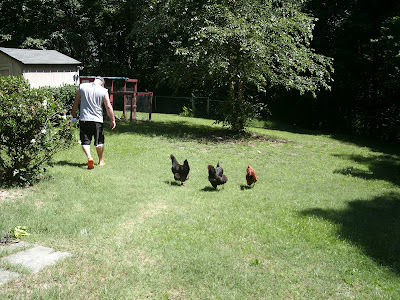 Fancy follows them around, the kids keep finding reasons to feed them, the Mountain Man is ready to build them a coop fit for royalty, and I'm blogging again. Bella with Lucy, who's slightly larger than Ethel. It's been a good past few days. So what does Chewy think of your new additions? Oh, that last picture is too cute! So happy to see you... I've missed you! Fancy excels at eggs! I am so happy to hear that she has some new friends. This post made me smile. I love the names, that is too funny!! 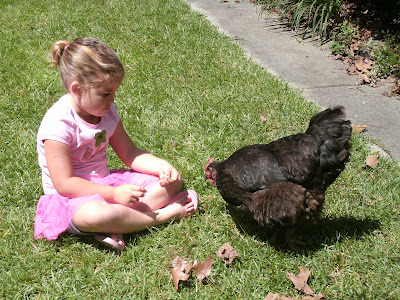 I still so jealous, I totally want chickens! 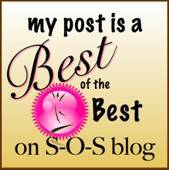 I immediately smiled when I read this post. Lucy & Ethel - just love it! Hope you and yours are doing well Kelly.